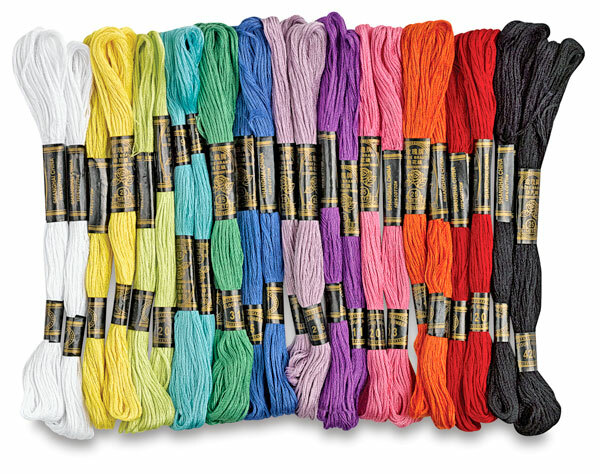 This quality embroidery floss can be used in a multitude of craft projects, including needlecraft, friendship bracelets, stringing beads, and more. Non-toxic. 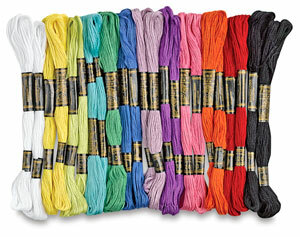 Includes 24 skeins, two each of 12 colors. Each skein is 8 yards long.